This breakout board makes wiring 5V analog sensors to the Talon SRX quick and easy. 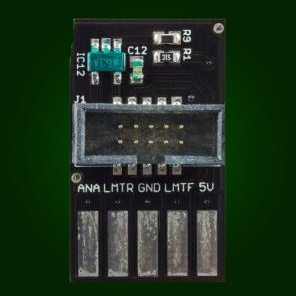 This breakout board makes wiring 5V analog sensors to the Talon SRX quick and easy. When connected to the Talon SRX through a ribbon cable, the breakout board provides solder pads to help connect your necessary sensors. 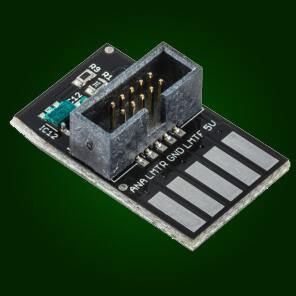 This breakout board is designed specifically for use with the Talon SRX - it scales a native 5V analog signal to a Talon SRX compliant 3.3V, helping 5V magnetic shaft encoders to "just work" without additional circuitry. See section 1.4.7 of the Talon SRX User's Guide for more details.